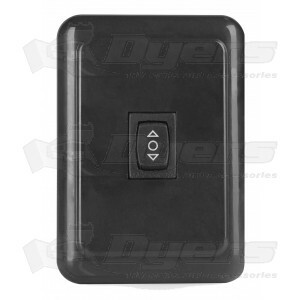 This universal dimmer switch will dim any 12 volt LED or incandescent fixture. Dims multiple lights on the same circuit. Unit will dim from 12 to 0 volts. Internal fuse protection. Smooth incremental dimming stages create an even and pleasant light at any level. For interior use only. Dimmer can be reset by holding the switch in down positions for 5 seconds.